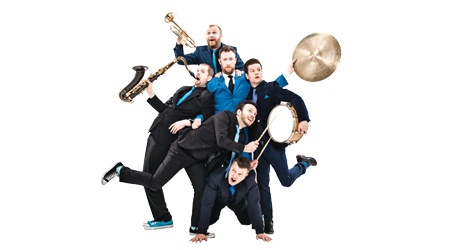 After an incredible just over six years doing sporadic comedy/jazz shows, the Horne Section have booked a gig at Shoreditch Town Hall to celebrate their greatest hits and lots of others songs and things too. For this one-off stereo-sound-spectacular they also welcome long-time collaborator and Horne’s former colleague Tim Key to recite some of his poems with musical backing in honour of The Horne Section’s sustained traction in the comedy industry. So, join Alex and his surprisingly talented band as they play all the Horne Section classics in a bid to maintain whatever momentum they seem to have sort of built up by cooking musical nuggets on Cats Does Countdown and radio shows and that sort of thing.